Before we get started, a word of warning: there are three rants in this review and a lot of tough love. The review didn't start out that way, as I like a lot of things that Nikon has done with the Nikon 1 cameras. But the J1 has so many small things to it that can cause big frustrations that there really wasn't any choice: Nikon needs to hear exactly how they missed on a few key items. So, as you read, remember that the J1 has many very positive aspects to it. It has some very negative aspects, too. I can't find any way to deal with that dichotomy other than to tackle it head on and aggressively. You've been warned. Also, let me be clear about another thing: this is a review of the Nikon J1, and not the V1. Be careful about making assumptions about the V1 based upon what I write about the J1 (foreshadowing: I like the V1 better). I'll have more to say about that when I complete my V1 review, but please note that these are somewhat different cameras. There are plenty of differences between them, and many of these will change some of the things I have to say about the V1 from what I write about the J1. The Nikon J1 is the entry model to the Nikon 1 lineup. In one sense, the J1 is a pretty complete compact camera: 10mp (2.7x crop) state-of-the-art sensor, basic 5 fps frame rate (with restricted ways to increase that), electronic shutter speeds to 1/16,000, the usual mix of exposure, ISO, and white balance settings, a state-of-the-art phase detection autofocus system, a built-in flash, remote control capabilities, and a bevy of video features all built into a 8 ounce and highly compact body. On paper: a complete camera. On the back of the white, black, silver, pink, or red body is a black plastic fascia containing a 3" 460k dot LCD and a compact camera-like array of buttons and dials. Up top we've got a pop-up flash, the on/off button, shutter release, and record movie button. FWIW, the front of the camera is mostly barren--there's no grip for your right hand, and only the AF assist lamp, lens release button, and IR remote receptor on the other side. Two small microphone holes are on either side of the lens at the top. Aside: the J1 colors are hit and miss aesthetically, in my opinion. I quite like the white version I ended up with (first available to me). The black version seems a little too spartan. The pink version is garish and looks too painted. The silver version has a nice classic touch to it. I was most surprised by the red version, which has a sheen to it that makes it more like a candy-apple color than a basic one. It's odd, but certainly interesting. Nikon has taken a simplification theme to this new camera: it only consists of 183 parts total. Most Nikon DSLRs have multiple thousands of parts. In some ways, the Nikon J1 is actually simpler in design and manufacturing than some of Nikon's compact cameras. Indeed, there are about the same number of parts in the 10-30mm kit lens as there are in the camera body. Nikon seems to have worked hard to strip complexity and cost out of the camera body. Does that show? Yes and no. The uncluttered look of the J1 is somewhat welcome and hints at the type of simple, refined design that Apple, Samsung, and a few others do so well. Unfortunately, it's only a hint. In reality, the design has a few weaknesses. Most of those are on the top and back of the camera. The top of the J1 doesn't stand up to close scrutiny. The pop-up flash fits into its slot about as tightly as US automakers made door seams in the 80's. The plastic flash unit itself is sort of ugly and shows off its Lego-like plasticness in all its glory when popped up. 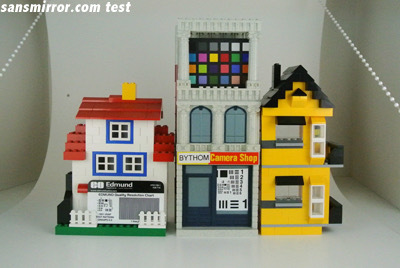 Think Lego block with a tiny slot for a light. The on/off button cannot be found by touch. Moreover, it's one of three round, flat buttons on the top right of the camera (on/off, shutter release, record movie). The "look" is better than the feel. Good design gets both right. The back looks and feels "cheaper" than the rest of the camera. Nikon appears to be recycling Coolpix parts here, and this results in a very odd contrast to the more refined look (and sometimes feel) of the rest of the camera. More on that as we get deeper into the review. Then again, this is the low-end model. What do we really expect? Personally, I expect more. Nikon came close to making a very attractive camera, but cheaped out in too many places. Given the size of this camera, it's a carry-everywhere camera. Thus, it could have benefited from a slightly more-robust-than-Coolpix set of controls, especially since it's decidedly more expensive than any Coolpix. Speaking of price, the retail list at announcement was US$650 with the 10-30mm kit lens, though we're already seeing discounting from that price. The price feels high to me. Considerably high. This is really a US$399-499 camera, I think (as low as US$399 on periodic sales, US$499 regularly). Given the low parts count, the small sensor (sensor cost changes considerably with size), and the competition, Nikon is coming into the mirrorless market late and at a high price. There are some other odd things about the J1. The logo and model name are hand painted. This looks good initially, but I've already found that this doesn't always hold up well to rough handling. It's an odd choice, and it seems weird in this day and age to have people painting things that are more easily done using other methods, even considering the low cost of labor in China where the J1 is made. Also, why the "1" is so big, I have no idea. It feels wrong in the graphic design sense, and on the J1 the size of the "1" is big enough that it'll impinge on most generic add-on grips you add (Flipbak has an upcoming add-on grip that deals with that). Some of the other odd things are the use of a filter instead of a sensor cleaning mechanism. By putting a "dust filter" far forward of the sensor it certainly simplifies things, but it really doesn't get rid of dust or potential cleaning issues. Indeed, I've found the filter slightly more prone to get mist, dust, or pollen on it than the sensor of the V1, probably because it's closer to the front of the camera when the lens is off. It's also more susceptible to damage there. The J1 uses an all electronic shutter (the V1 has mechanical and electronic options). 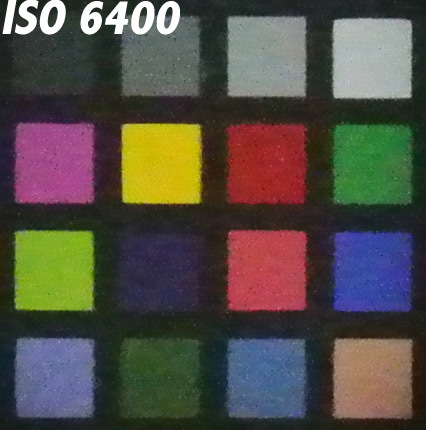 This provides shutter speeds up to 1/16,000 of a second, though at the possible expense of some sensor artifacting. For some reason the flash sync speed of the electronic shutter is only 1/60, which is highly problematic as even modest motion will get motion blur on edges. But the all-electronic shutter can be completely silent, too, which makes the J1 an interesting street camera. The J1 uses a new battery, the EN-EL20. Unfortunately, it's a smaller battery than we'd like (1020mAh), so don't expect DSLR-like shot-per-charge performance. 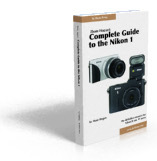 If you're considering both the J1 and V1, see my Nikon 1 FAQ for the complete list of differences. Quite a few of those differences may be meaningful to serious shooters, so pay close attention before choosing a J1 over a V1. I've already alluded to a couple of issues, so let's deal with them up front: the lack of a hand grip on the front of the camera is somewhat problematic, especially since on the white model the surface is slippery. The rear of the camera has a rubber thumb grip, but this too, is problematic, which I'll get to in a moment. Nikon sells an optional grip. It'll only set you back US$82. Really? US$82? Apparently Nikon thinks that their grip is the greatest thing since sliced bread, but it's just a grip. Really, a hunk of metal that provides something the camera should have had in the first place. If you use Arca Swiss plates like I do, you'll be adding two expensive chunks of metal to your small, light camera. Just to get a bit more handhold. One primary requirement of a camera is that we're able to hold it. That's "primary" as in "should be a design consideration of every camera." Apparently, this basic requirement has not yet been discovered by the Japanese camera makers. I know that things after World War II were hectic over there, and that they had that melt-down in the 90's, but that still leaves the 60's, 70's, 80's, and 00's to figure out something that seems so basic. Ah, but now we have camera makers who are aware that the camera needs a grip, but wish to profit off something that should be a basic feature of the camera. "You want that car, buddy? Well, the tires are optional." It's one thing to provide an extended grip that provides more features. It's another thing to have someone mill a chunk of metal and peddle it to the customer as an "accessory" when it's really a necessary element in the product itself. Don't buy Nikon's grips. Don't even begin to encourage them to continue down this route. Buy one of the generic grips that are available (for far less money; heck, buy one that covers up the Nikon logo if you can). The buttons on the top are almost all flat to the surface. If you're poking around the top by feel, be prepared to turn the camera off. Fortunately, the J1 doesn't have an EVF, so you're normally looking at the camera and can just look at what you're pressing. Still, it wouldn't have taken a rocket scientist to distinguish three buttons in the design so that you could feel your way around the camera. One nice touch is that the camera turns on if you extend the lens (for those lenses that support it, which includes the 10-30mm and 30-110mm kit lenses). Since you can't find the on/off switch by touch, the lens extension button is a reasonable substitute. Too bad contracting the lens doesn't turn the camera off. I know some argue that it shouldn't, but I think such symmetry is the right approach. The argument that you can't review images with the lens retracted if it worked both ways is misguided, IMHO. First, why would you retract the lens to review images? Second, even if you do want the lens retracted when reviewing images, just press the on/off button and the playback button--you don't have to have the lens extended to review images. Changing lenses is mini-DSLR in nature. Press the lens release (close to the location Nikon DSLR users would expect it to be) and rotate the lens off the mount. The rotation is far less for mounting and unmounting a Nikon 1 lens than a Nikon DSLR lens in the F mount. Also the alignment position is different (12 o'clock instead of 2 o'clock). One nice touch is that the Nikon 1 lenses have a painted (there's that again) marker that's easy to see. The marker on the camera body is on the lens mount and slightly less obvious, but 12 o'clock is easy enough to remember. On the plastic bottom of the camera we have the usual (plastic) battery/card compartment door, and a metal tripod socket centered on the lens. Unlike some camera makers (I'm looking at you Sony and Olympus), there's plenty of clearance between the battery compartment door and the tripod socket, which means I was able to use some existing small Arca Swiss plates on my J1 without blocking the door. Bravo. Full marks for the bottom designer (and lower marks for the top designer). It's the back where things start to really fall apart. The notion of no traditional Mode dial isn't a fatal error on the J1. After all, it is a camera targeted at entry level users, and they're not likely to want to play Spin the Mode Dial. We do have a "mode" dial, though, only the modes are Smart Photo Selector, Motion Snapshot, Still Images, and Movies. The problem is that this dial sticks out to the right edge of the camera is almost never in the same position after you've put the camera in a bag or pocket and taken it out again. Cameras have had mode dials for three+ decades now. The designers of the J1 weren't surprised at the last moment when someone said it had a mode dial that needed to be designed. Yet, despite 521.2 million complaints about mode dials on cameras, we still get terrible implementations years later. Let's see, we have "mode dial fails," "mode dial inadvertently moves," "mode dial confusing" and a host of other complaints. Over and over. Camera after camera. Model after model. Year after year. Apparently all camera designers seem to shop at the same store: "Welcome to the Defective Part Emporium. Yes, we carry mode dials." This isn't rocket science. It's not even Salaryman 101. Every designer on the planet should be able to make a mode dial that doesn't inadvertently move, isn't labeled with cryptic and baffling new icons, and won't fail in continuous use (especially continuous inadvertent movement ;~). Apparently the camera industry employs none of these designers. Someone is NOT PAYING ATTENTION. Actually, not someone: everyone in Japan that designs cameras is not paying attention (and don't get me started about Canon's optional locking mode dial, where they offer to let you pay for the privilege of not getting a defective part). So...Nikon please find someone who knows how to make a dial that turns only when the user wants it to. Then fire anyone who commits such a sin again. Uh, did you notice that I don't like the mode dial? No, I'm not done. I fail to see why the J1 needs a mode dial at all. We've got a Record Movie button. Only it doesn't work in any of the three modes other than video. Well, that takes care of the accidental recording of video that happens on a lot of bodies due to the location and lack of feel for the button (I'm looking at you again Sony). But then why have the button at all? It turns out that it's there because Nikon wants to let you take stills during video recording. A nice touch, but that's the only nice touch about this arrangement. Why can't we do the opposite and start recording a movie while taking stills? Bringing the I Know What's Best (Smart Photo) and Harry Potter (Motion Snapshot) options up to the level of a "main mode" is a questionable decision, even on the entry level J1 body. The camera is basically menu-driven. I suspect that Nikon didn't want to add those things to the SHOOTING menu because the menu was already long and scrolling. Adding them to the Exposure mode menu item would make that menu scroll. Of course, the menus already scroll far too much for a novice user (or any user for that matter). Not that the other controls on the back are all that great. The wheel/button array at the bottom right back is classic cheapo Coolpix. At least the Delete button is recessed, making it hard to accidentally toggle (twice to delete an image, like the Nikon DSLRs). But the buttons are small and the wheel a bit too susceptible to moving (there's that again). But to fully understand how poorly the thinking went into the user interface (controls) of the Nikon 1, we have to go through a shooting scenario. Let's say you want to shoot in Aperture priority exposure mode. Mode dial to stills. Menu to Exposure mode and select Aperture-priority auto (hmm, why the extra "auto," Nikon? Are you afraid that someone that gets this far doesn't know that Aperture-priority automatically does something?). Use the zoom lever at the upper right back to change aperture. Press AND HOLD the top part of the Direction pad to lock exposure while you reframe. Welcome to the first of many operating procedures that feel like a kludge. "But Captain, we've got a wee too few buttons and dials for that maneuver..."
The dependence on menus to change things is the real weak aspect of the control system. The SHOOTING menu has 20 items on it, the SETUP menu 18. That tends to create a lot of key pressing or dial turning to find what you want (fortunately, the dial is a shortcut). Unfortunately, on two samples of the J1 I've used, the Direction pad/dial sometimes jumps me where I don't want to go (those cheap Coolpix controls again). If I was last on the SETUP menu and need to move to the SHOOTING menu, a left and up push on the Direction pad sometimes also triggers a bit of dial movement and I end up back on the SETUP menu. There is a solution to this: if you're on a Menu Item and want to get to another tab press the MENU button again, then use the dial and OK button to move into a new menu. Yeah, things are that bad. Then there are the missing elements. Top amongst those are no live histogram (though you can get one on playback). No customization of any control. No flash level control. (Flash control only appears if the flash is popped up.) No cancellation of automatic image review. I understand that this is an entry level camera. But it is cruder and more tuned to automatic shooting than some Coolpix models and considerably more problematic than a D3100 (or a Coolpix P300 for that matter). If your'e going to design a Junior, Middle, and Senior set of products and you want your users to move progressively up the ladder, you don't design them with completely different option names, different option positions, different control sequences, different everything. No, you design the Junior model so that it handholds or does things mostly automatically but the user that gets more sophisticated can discover more capability and flexibility, and that capability and flexibility is a subset of what the Middle and Senior product do. You don't design Photoshop Elements with one user interface and Photoshop Pro with another. Oh wait, they did. But that's another rant for another day. You want to capture users at any level--low, middle, high--and have them be able to move up or down the ladder of your products as their needs change. For example, I'm a pro Nikon DSLR user. Why is it that when I move down to a J1 to shoot more casually I have to learn a new user interface and can't control the camera as I usually do? Likewise, if I gave my mom the J1 and she learned that and then decided she wanted a Nikon D5100, why should she have to learn something completely new again? One commonality of these rants is this: camera control design isn't something that needs to change with every new model. We know what worked and why but camera companies keep abandoning that, probably because they've got too many employees that wouldn't have jobs if they didn't keep redesigning something that wasn't broken in the first place. The Japanese are good at some forms of iteration, but terrible at others. The one they're most terrible at is iterating user interface. Now, with all those rants and negative comments, you'd probably expect me to say the bottom line on handling is so bad that you should avoid the product. I'm going to surprise you: the problems I've noted are frustrations, not deal breakers. Novice shooters probably don't notice all these things (well, they'll notice that the mode dial keeps getting reset). They use a lot of "auto" functions and rarely change or override the camera's settings and decisions. So, in one respect, Nikon got that part right: all auto shooters will probably find the camera pleasant enough in handling. But the minute you rise above that, you've got to think a little harder about how you use the camera and where you access various things. I tend to set an ISO every time I pick up the camera, if for no other reason that ISO is the thing I change most often that's buried in the menus. By always setting an ISO when I turn the camera on, the MENU button tends to get me quickly to the ISO sensitivity item when I press it (at least until I set something else). Put a different way: I had to change my behavior to meet the camera, not change the camera's behavior (through customization) to meet mine. One word: yuck. But nevertheless, I manage. Active D-Lighting lowers exposure and boosts shadows in camera processing. It's not a good choice for RAW shooters, and it really should be situational for JPEG shooters, as it will have a tendency to promote noise (especially considering the other default settings). VR set to Active is definitely an interesting choice. By Nikon's own definition, Active means that you're shooting from a moving platform (car, boat, train). I suspect the majority of pictures shot with a J1 are not shot from a moving platform, so it's the wrong choice. Set it to Normal unless you're on a moving platform. Focus mode of AF-A means the camera starts by thinking it should do Single Servo autofocus, then, if after some timed loop of seeing focus information shift (moving subject), it switches to Continuous Servo autofocus. It's that delay in the timed loop that kills focus performance sometimes, especially if you fully pressed the shutter release as the camera was changing its mind. Consider picking Single or Continuous autofocus as needed. 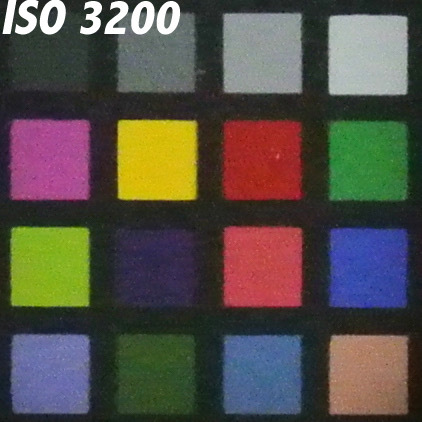 Finally, the Auto ISO of 3200 is essentially telling the camera to "just do what it has to." The problem is that this is a small sensor camera so the more the ISO gets pushed the more noise you'll get and the more the noise reduction kicks in (even on RAW). For serious shooters, Auto ISO 400 is the right choice. Move to higher ISO values specifically if you need them. Of course, you'll be doing so in the menu system, not via a direct control, but I've already addressed that. Battery: The J1 is not a winner in the battery Olympics. It's decidedly compact camera in nature here, with a smaller battery to start with and the constant drain of the LCD chewing up what's available. Think 200-300 shots, less if you use a lot of flash. Video users are going to find it difficult to get much above an hour of recording per full battery, though I did manage 90 minutes once. Heavy J1 users should acquire a couple of extra batteries, but everyone should have at least two. Focus: Compact cameras are notoriously slow to focus and poor at tracking focus. DSLRs are fast to focus and track well (especially as you move up the model lineup). So where's the J1? Surprise, it is more in the DSLR realm than you might expect. The phase detect sensors built into the imaging sensor coupled with the high frame rate of the sensor and all the computational horsepower in the J1 seem to do the job. Certainly in bright light you might be fooled into thinking you're shooting with a DSLR (assuming you're out of the default settings, as I note above). Focus acquisition is swift and focus tracking good (maybe on D3100/D5100 level). With one exception: you need a subject that has contrast in it. 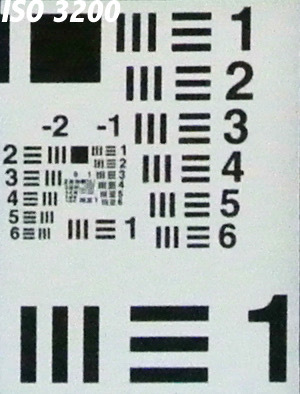 It appears that the focus system on the Nikon 1 tries to confirm that it found focus by looking at contrast information. If you don't have any contrast under the area the camera is focusing on (for instance, the side of a dark ship), all bets are off. Obviously, this problem is bigger in low light with non-contrasty subjects (think black cow at dawn). But in good light with subjects that have contrast in them, I'd characterize the focus as DSLR-like. Not D3s-like, but certainly in the realm of DSLR expectations. I'm not going to answer the "birds in flight" question in this review. I think that's more appropriate in my upcoming V1 review. The J1 is a low-end camera, after all. But a very respectable low end. I will answer the "is it better than the fast m4/3 cameras?" Yes, it is, usually. Again, the J1 needs some contrast to confirm focus, apparently, but as long as you've got that in your subject, the J1 beats my E-P3 even in single servo autofocus, but especially when continuously tracking. The next question tends to be focus for video. Here I'd call the J1 respectable. Better than most Nikon DSLRs in tracking focus in video, but not as good as some dedicated camcorders. That's good, because manual focus isn't really an option with the J1. Manual focus is controlled by the dial around the Direction pad and there's no focus aids available. Overall, focus performance wasn't something that concerned me with the J1, especially given its target user. If there is a downside, it's going to be more sophisticated users who want more direct control of the focus system. Exposure: I'm a bit surprised that others haven't written much negative about the J1's exposure. It has a slight tendency towards "hot" in matrix metering. This seems pattern dependent to me. I'm starting to recognize that if I have a lot of white in certain areas away from the center of the frame I'm going to get blown highlights. Curiously, this doesn't seem to be as simple as "if there are a lot of white clouds they'll blow." Sometimes they do, sometimes they don't. Since we don't have a real-time histogram, this is an issue: you've got to pay close attention. Likewise, video seems to expose a bit hotter than stills. We're probably only talking a third of a stop, but it seems to be consistent on my camera. Heck, maybe it's because I picked a white model ;~). The above sample image was taken with my J1 on a recent trip. Left to its own devices, the camera overexposed by almost a full stop. At times when the sun broke through, this produced unsightly blooming (remember, the J1 has an electronic-only shutter) and an unusable image, in my opinion. For this shot, I actually set exposure compensation to -2.0. I was dealing with the sun peeking in and out so set a very conservative compensation; in this example the result is probably two-thirds of a stop underexposed. Noise is clearly visible, but not objectionable (and easily dealt with). An intersecting element is that the Nikon 1 Picture Controls default to Standard, which has a slightly boosted gamma that pushes midrange a bit higher than I think most people will like. Yet another intersecting issue is that blooming tendency on high-contrast light sources in the scene. Between all these things, I found that I tended to set the J1 to lower exposures than it wanted to shoot at, even when I switched Picture Controls. The fact that we can't monitor exposure in real time is problematic, too. 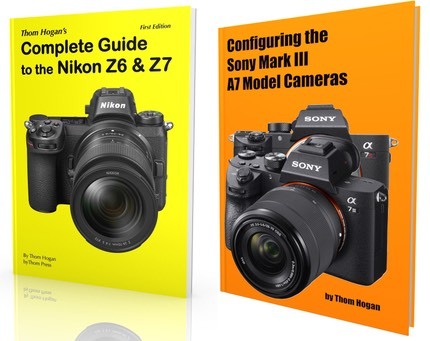 Image Quality: One thing that Nikon has gotten very good at lately is making a broad range of cameras with different sensors that all produce essentially the same looking images. If you're familiar with Nikon's Picture Controls on any other Nikon camera (Coolpix, DSLR), the J1 (and V1) basically will prove to be familiar and produce very similar images at the same settings. That last sentence has both good and bad in it. 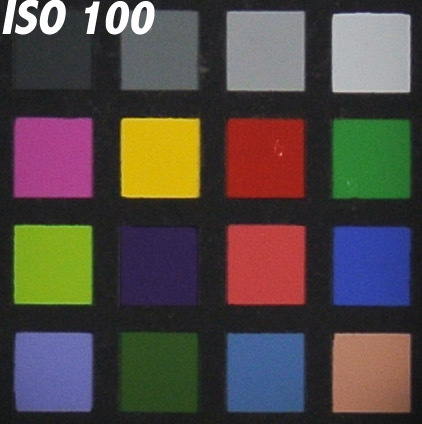 The good is that Nikon's JPEG files are generally quite clean, free of color noise even when they do show noise, have somewhat more accurate color than most cameras at the least fiddly settings (Standard, Neutral), and have almost no JPEG artificating to be seen, even when pushed to the limit. The bad is that Standard (and especially Landscape and Vivid) are a bit contrasty, sharpening is understated (even when boosted), and "accurate" color isn't actually what most people are attracted to. Personally, I have no problem with the "bad" list: I tend to use Neutral and I post process even my JPEG images. I start from relatively defect-free pixels therefore, and can move the color, contrast, and sharpening as I see fit. In general, there's nothing to fault with the image quality. The goods far outweigh the bads, and the bads aren't really bad to someone who is willing to post process. Noise: Pixel peepers won't be happy with the J1, everyone else will. With JPEGs, they're relatively clean through ISO 1600, especially considering the sensor size, but start to degrade rapidly at ISO 3200. HI 1 (ISO 6400) is borderline usable, and certainly not where accurate colors or detail need to be preserved. One bad piece of news is that Nikon is cooking raw files above ISO 400. There's some form of noise reduction happening above that ISO value in raw data that can't be turned off. It's one of the reasons why I suggest Auto ISO 400 as the max setting. Curious news: try taking a very long shot (2 seconds or more) with the lens cap on (you'll have to set Manual focus). Oh-oh, light leaks. Now hold your hand over the lens cap and repeat: no light leaks. Doesn't happen with my V1 and the 10mm f/2.8 or its 10-30mm kit lens. In fact, I can take the black lens cap off my V1 and put it on my white J1 and get no light leak, and vice versa, so it's the white lens cap that's the issue. As usual, I've been pretty rough on some of the features, design, and performance of a Nikon product. A bunch of engineers in Japan are cursing me again, I suspect. But this doesn't feel like a four-year project that was tuned to perfection. It feels like a bit like a 1.0 product that was shipped too soon. Many of the things I note could be addressed with a firmware update. So let's hope someone at Nikon is seeing the same things I am and flogging the firmware folk into a frenzy of fixes. That's not the real issue, though. I'm perfectly fine living on the cutting edge and using 1.0 products. Sometimes I bleed a little. No, the real issue here is Nikon's notion of "target customer" and how they designed to that. It's easy to understand how they convinced themselves that "a compact user moving up doesn't want complexity so let's remove most of it and hide the rest." What they didn't do is consider the DSLR user moving down. We certainly don't need or want to have complexity removed or hidden. Nikon now has a curious lineup. We've got the L and S Coolpix models that are heavy into the novice-user-hide-the-complexity design theme. Above that we've got Coolpix P models that are actually much like a mini-DSLR in terms of complexity and control. Above that we've got the Nikon 1 models that are way back into the novice-user-hide-the-complexity theme. Above that we get the D3100 with its totally botched Guide mode and plenty of DSLR complexity when you learn to avoid Guide mode. And finally from the D5100 up we get lots of control and complexity that escalates until we get the everything-and-the-kitchen-sink D3 models. The ramp isn't linear or sensical. Coolpix users don't really learn how to use a Nikon 1 and Nikon 1 users don't learn how to use a Nikon DSLR. This is classic evidence of "no overall leader" in product management. It's as if Apple made the iPod Touch with one interface, the iPhone with another, and the iPad with yet another. I think Nikon missed a real opportunity here. Thing is, I like the J1. It takes very nice images, it has a great deal of performance for a small camera, it's a passable video camera, and it really is a tough competitor against bigger sensor models from other companies. The more I used the J1 (and V1), the more I found things I liked about the images I could get with them. The problem is that the design gets in my way too much. Yes, I'm a high end user, and a very sophisticated one. Yet I think the design probably gets in the way of the novice user moving up, too. Even something simple, like the moving mode dial, is enough to frustrate my mom or god-daughter or friend who isn't a photographer. But it doesn't stop there. Poorly chosen defaults, some awkward controls (exposure lock), no hand grip, and several other design decisions will eventually make them as frustrated as I get with the camera, and should they manage to master the J1 and want to move further up the line, they haven't really learned the Nikon DSLR control system, either. I don't mean to blow my own horn, but give me six months and team of efficient and responsive engineers, and I could fix the J1's faults and make it a seminal camera, one that would shake up the camera market more than the current one will. I don't know if Nikon rushed the J1 to market or just didn't see all the small bits and pieces weren't quite adding up to a more functional whole, but they hit a bloop single instead of a triple or home run. The good news is that the one area they didn't mess up is the performance. It has exceptionally good focusing for a small camera, it produces exceptionally good images for the size of its sensor, it has DSLR-like (and not just any DSLR, but high-end DSLR) lag, frame rate, and buffer performance. It has a ton of video capability including some manual controls that many of its bigger DSLR brothers don't have. When you discover those things about the Nikon 1 cameras, even the low end J1, you really, really want to like and use this camera. As I noted earlier, I've had to adapt to the camera. The performance is good enough that I have been willing to do just that. I put the J1 to the real world test with two weeks scouting locations in New Zealand, and from the performance standpoint, it never really disappointed me or let me down. Every now and then I'd get caught in some of the novice-or-else design decisions and get frustrated, but as I note, I adapted. I found small ways to try to cheat the UI reaper. I got the camera out of its defaults and set into something that could handle 80% of what I encountered, and adjusted my shooting a bit to handle the rest. I managed to get images that hold up against what I could do with a DSLR (though obviously only 10mp versus today's 12 to 24mp DSLRs). That's saying a lot. It's actually harder to accomplish some of the shots I made with the J1 with the m4/3 and NEX models I'd previously been using as my small camera. We're at the point in the review where I need to decide whether to recommend the J1 or not. Nikon did not make this decision easy. There are a lot of flaws and a lot of big successes here. Any decision is going to be a delicate balancing act. So let me start by just describing the things that would have clearly tipped me into recommending the camera: lockable mode dial, customization (function button, image review, AE-L lock hold), and live histograms. That would have been enough change to clearly tip the scale. That all but one of those things could be done in firmware updates is what finally decided me: I'll recommend the J1, but barely. Let's hope Nikon is listening and starts fixing the broken. Because in size, build, and most performance characteristics, this is a heck of a camera. 2018: this model is out of production and no longer available new. But used copies can easily be found. Also, check out the current J5 model.